International plus-size model Kat Gumabao talks about being based abroad away from her family. After making her mark as a Pinay plus-size model on international runways like the Paris Fashion Week and New York Fashion Week, Kat Gumabao said she never even thought of becoming a model growing up. “Back when I was younger, big girls didn’t model. I started modeling in 2010 or 11 and it was just a favor for a friend. So from then on the favor I did branched into work. In the beginning it was just one gig, two gigs a year because it wasn’t anything that people embraced at that moment in time. Siguro what really paved the way was when I went to Melbourne in 2016. That’s when it kind of picked up more,” she told PUSH. 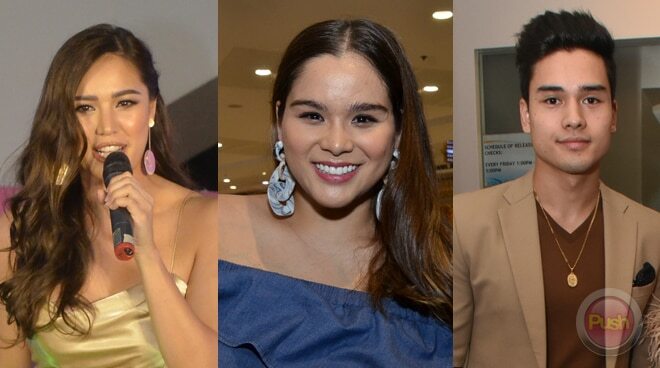 After recently walking the runway for the 2019 SM Woman’s Summer Collection launch, Kat, whose siblings include actor Marco Gumabao and athlete/sportscaster Michelle Gumabao, said she is glad to be back in town for the next two months. “Our favorite bonding talaga is when we we’re all home. It’s either when one of us cooks or if Michelle wants to experiment on a new vegan meal or if I want to cook like maybe steak. It depends lang if we’re all home then we really eat out or order. Favorite bonding namin sa food. Lahat kami we will all answer the same thing (laughs). “This is how you eat sinigang, whether it be pork or hipon. Di ba you put a little bit of calamansi and patis, konti lang huwag naman yung drenched tapos just a little bit of tomato ketchup. Not naman super dami because the battle of the tastes na sour sweet, and a little bit na yung basta salty. Ako it’s my favorite. Super sarap,” she shared. When she is abroad, Kat said she misses a lot about Manila. “I just miss the fact that it’s so easy to buy food here. Kasi I don’t drive even in the States. Dun kasi it’s so hard to have things delivered because it’s so expensive. What I miss here is the proximity and convenience of everything. My masahista of 12 years goes to the house every so often when I need her so yun yung mga nakaka-miss na mga bagay,” she said. Even if they are all in the limelight, Kat said there has never been any rivalry between her and her siblings. “We’re all in different fields so it’s good that we all get to do what we love to do and there’s no competition between us. We support each other. I think in your own time, the path will open up and it doesn’t matter who started first,” she said. Kat is also supportive of Marco’s sexier new image. “It’s good for his career. Personally, it’s a little weird because he’s my baby brother. Pero I’m happy for him,” she added. Even though she has been based abroad since last year, Kat said she is still open to doing local work as a Viva artist along with her other siblings. “Personally acting I do not know if I have the make of an actress. But I really like to host. I’m the type that can talk for four hours straight na walang problema. I’m with Viva kasi here in Manila so I told them if they have work and they want me to fly home, they can call the office and work something out and I’ll fly home. I’m super open to everything,” she said.